“How can I help you folks?” said kindly old Russell Gayer as he approached the young couple just stopping at his service station. The young couple continued down the road. When they were out of sight kindly old Russell Gayer planted his hands on his hips and laughed. Sorry to introduce such a terrifying character in this story and I didn't mean to cause you nightmares, but that kindly old Russell Gayer is awfully scary when he's badgering you about buying APCO products. I don't know about you, but I came away with an APCO raincoat and APCO chocolate candy with raisins. Well, let's all calm down by reading the tales based on the picture prompt above by the other Friday Fictioneers by clicking here. Oh, no, here comes kindly old Russell Gayer again! Okay, okay, I'll take the APCO underwear! Yes, here I am. Both kindly and OLD, but not near as old as the author of this tale. Here's you APCO underwear, Perry. Made from the finest recycle rubber inner tubes. This will prevent those unsightly spots on your trousers. OK boys... settle down, now! I'm embarrassed to say I laughed, particularly at the last line. You two are incorrigible. But if you weren't, what would the rest of us do for entertainment? Why this underwear is terrific! Oh, no, it's extra small. My size is super duper small, get with the program. Oh, and about my immortal soul? No problem as long as Lord APCO keeps those chocolate candies with raisins flowing. Yes, ma'am. Not going to argue with you, no never. You're right. What do you say, Russell, should we start charging for this superstar entertainment? You went easy on Russell today even though he made you into a "two bag night" sort of date. Satan seems kinder. i wonder if it would make a difference if they bought something from him? I dunno. I don't think making him an emissary of Satan is exactly going easy on him. And I'm lucky I'm not a three bagger. All the difference on heaven and earth! Our humor is a bargain at any price. Yes, I'd love to sell that corner lot with the beautiful view of the Mediterranean. It's located just outside Flagstaff, Arizona. OOhhh! Leaving out the last 6 makes this story ... evil??? You and Russell keep me coming back. Clever take on the prompt. Well done! You can have any APCO products you want, maps, dogs, pot holders. It's like the satanic version of Amazon! And while you here, wanna buy some products from Lord APCO? Thank you. 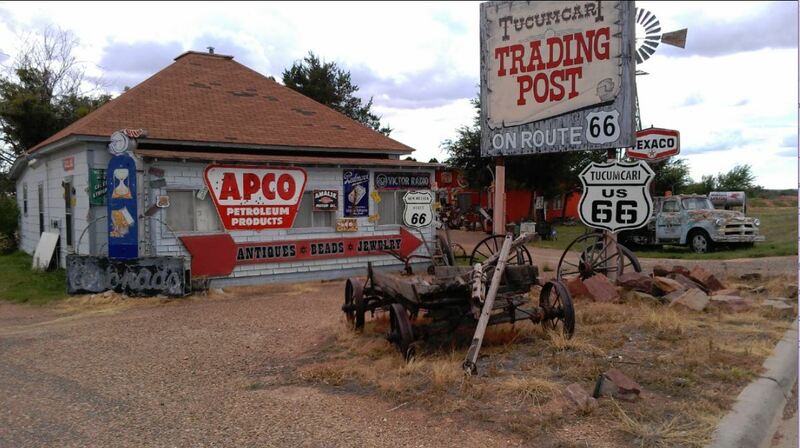 BTW, there's Route 66 right here; drive on ahead. Hmmm..chocolate covered raisins..he would probably get me too! I've Rigged the Vote for Hillary!